There’s a guy in the Personal Care department at Target handing out coupons for women’s hair brushes . 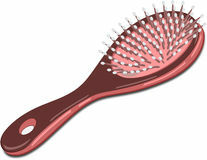 . .
One woman takes the coupon and comes back a minute later to ask where that particular type of hair brush is located. “We’re out of them,” the guy says matter-of-factly. “Why don’t you just go home then?” she asks as she hands the coupon back to him and walks away.